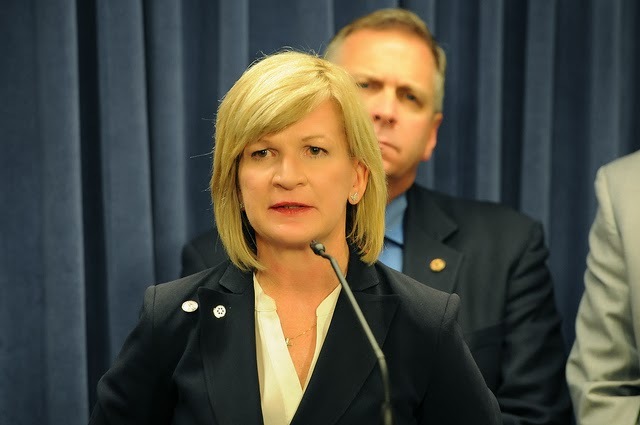 Illinois is rewarding a private company that has found more than 200,000 people who should not be enrolled in Medicaid by pulling the firm off the job. Maximus, a Virginia-based company, has been combing through the 2.7 million people enrolled in Illinois’ Medicaid program. So far this year, the company has reviewed 465,076 cases, and recommended that 228,965 people — about half — be dropped from the Medicaid rolls. 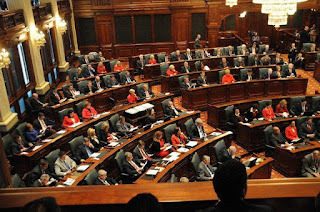 Illinois has removed 114,675 people from Medicaid, and kept 176,664. The remaining cases are pending. 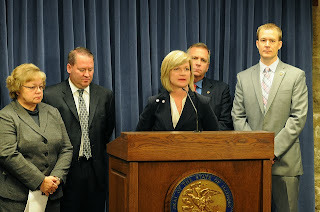 Please click HERE for the full article from Illinois Watchdog. Residents impacted by recent tornadoes can immediately begin registration for grants and low-interest loans. Businesses can apply for low-interest loans. 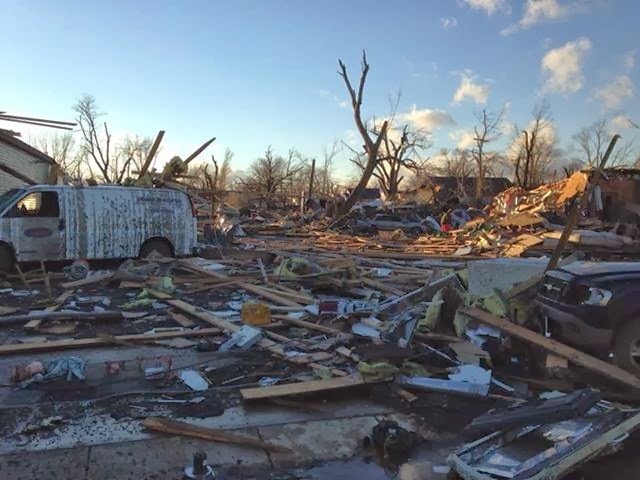 The Governor today asked President Obama to declare 15 Illinois counties major disaster areas to help people and businesses recover from a violent outbreak of tornadoes across the state on Nov. 17. 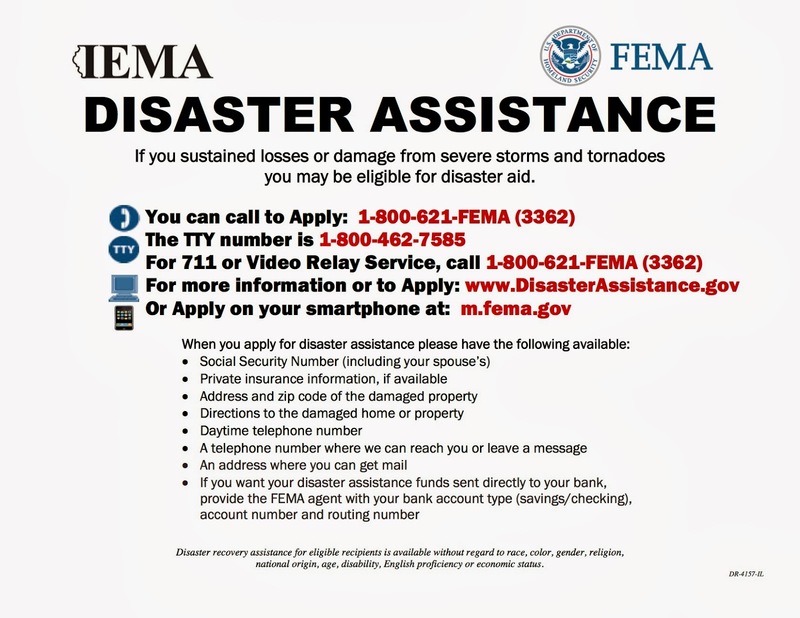 The requested federal disaster declaration is for Champaign, Douglas, Fayette, Grundy, Jasper, LaSalle, Massac, Pope, Tazewell, Vermilion, Wabash, Washington, Wayne, Will and Woodford counties. Last Sunday while watching the Bears game, the telecast was interrupted by a weather bulletin informing viewers of an outbreak of tornado activity in central Illinois and around the rest of the state as well. 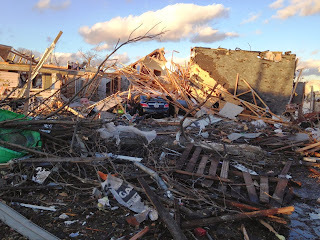 The tornado warnings had already expired in my community of Chatham so I really wasn’t paying much attention until I heard the reporter mention that emergency vehicles had been sent to Gifford, a small community in Champaign County. Gifford happens to be the home of Country Health Care and Rehab where my mother resides so I immediately started paying closer attention and wanted more details. 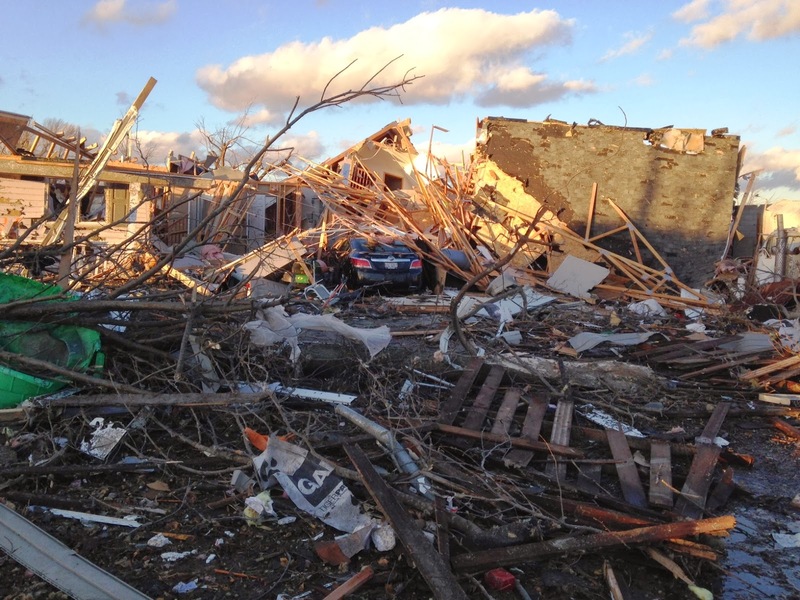 Tornadoes strike communities throughout Illinois. While twelve states were affected, Illinois was especially hard-hit by the severe frontal system that moved eastward on Sunday, November 17. Death and destruction followed cyclonic strikes, including at least two tornadoes measured at a severe EF-4 on the North American scale of intensity, on the central Illinois city of Washington, located east of Peoria; the central Illinois town of Gifford, north of Champaign-Urbana; the southern Illinois town of New Minden, east of St. Louis; the far southern Illinois town of Brookport, north of Paducah; and other communities in Illinois. 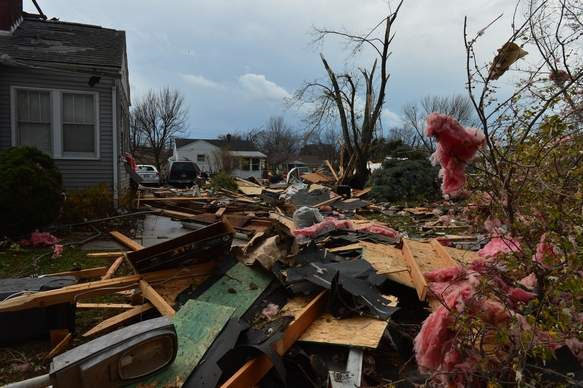 More than 1,500 Illinois homes were damaged or destroyed. People whose homes were heavily damaged or destroyed by recent storms are being urged to stay with friends, family, at a local shelter or in a hotel, and not in their vehicles. State officials have heard reports of people sleeping in their vehicles, which can result in serious health effects or death if carbon monoxide builds up in a running vehicle. Carbon monoxide is produced whenever any fuel such as gas, oil, kerosene, wood or charcoal is burned. People who have lost power and are heating their homes using an appliance that burns fuel should make sure the appliances are working properly and are being used correctly. Hundreds of people die accidentally every year from carbon monoxide poisoning caused by malfunctioning or improperly used fuel-burning appliances. Symptoms of mild to moderate carbon monoxide poisoning may resemble winter flu and can include headaches, dizziness, nausea and lethargy. Higher levels of exposure can cause fainting, confusion and collapse. If exposure to carbon monoxide continues, death can result. For more information about disaster recovery resources, visit Ready.Illinois.gov. 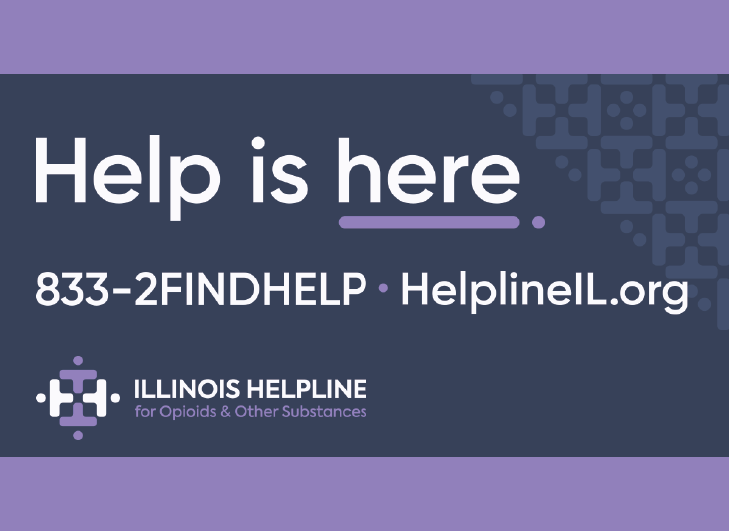 Ready Illinois has updated its website with a list of items which are needed for the Washington recovery effort. That information can be found by clicking here and scrolling down to "volunteers and donations information." 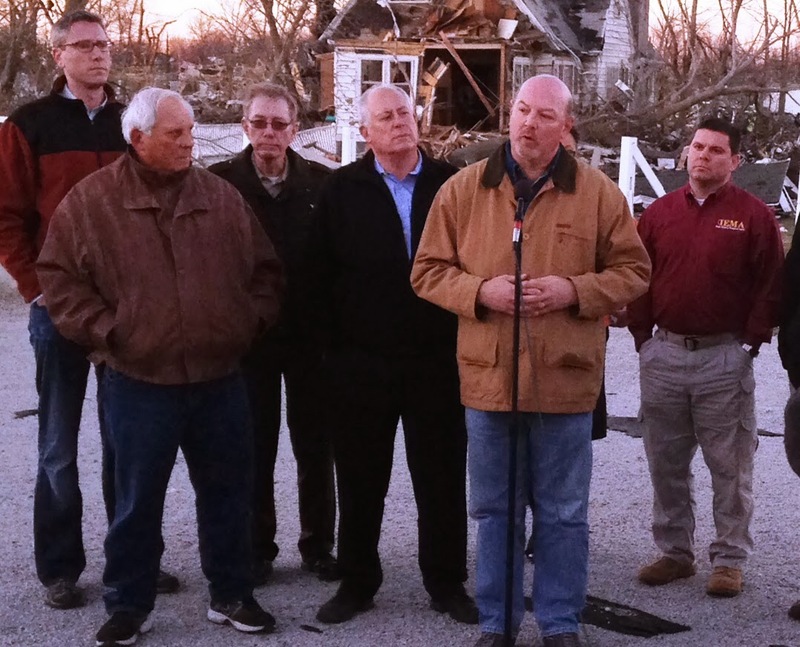 The Governor announced on Tuesday that the Federal Emergency Management Agency (FEMA) will begin damage assessments on Thursday, November 21 in several Illinois counties devastated by Sunday’s tornadoes and severe storms. 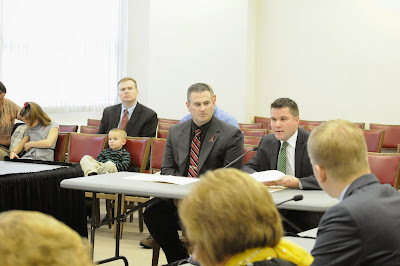 The assessments will provide the documentation necessary to support a request for federal assistance. 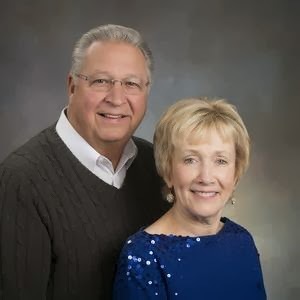 The Edwardsville office of Illinois State Representative Dwight Kay incurred damage from a fire on Monday evening and will remain closed until further notice. 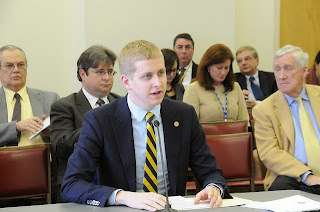 While the office is closed, Rep. Kay’s staff remains available to assist constituents by phone and e-mail. Rep. Kay's constituents will continue to receive service from Rep. Kay by contacting him at 618-307-9200 or by email. Fayette and Vermilion Counties Added to State Disaster Declaration. 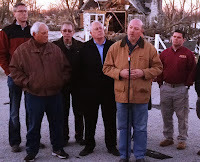 Governor Pat Quinn declared Fayette and Vermilion counties state disaster areas, bringing to 15 the number of Illinois counties to receive the designation after several tornadoes ravaged the state on Sunday. 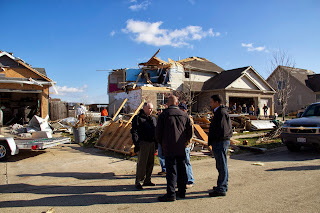 Other counties declared state disaster areas by Governor Quinn include Champaign, Douglas, Grundy, Jasper, LaSalle, Massac, Pope, Tazewell, Wabash, Washington, Wayne, Will and Woodford counties. Governor Pat Quinn today declared seven counties state disaster areas after severe storms generating tornadoes and high winds ripped across Illinois. Hundreds of homes and businesses have been damaged or destroyed, hundreds of thousands of people are without power, and numerous roads throughout the state have been closed by fallen trees and downed power lines. At least six people are reported dead and dozens more injured. Later today, Governor Quinn will inspect damage on the ground in some of Illinois' hardest hit communities: Washington, Diamond, Gifford, Brookport and New Minden. Counties included in the Governor’s declaration are: Champaign, Grundy, LaSalle, Massac, Tazewell, Washington and Woodford counties. 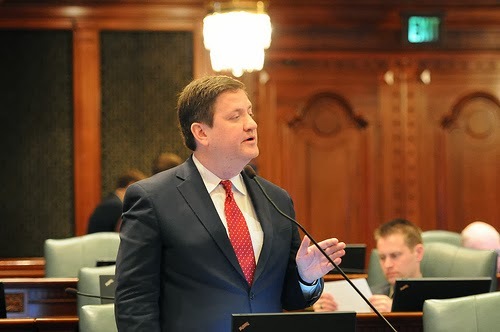 Last week lawmakers, including Rep. Tom Demmer, asked the Illinois Department of Insurance to provide them with the number of Illinoisans who have obtained healthcare coverage through the Illinois Health Exchange Marketplace and the number of Illinois families who have had their health insurance cancelled. Some numbers have been estimated about enrollment, but there has been no mention about the number of people who lost health coverage, or whose insurance rates have increased. 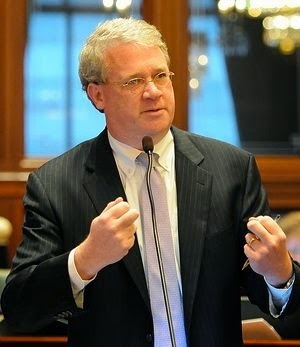 Even if you are not sure how you feel about the Affordable Care Act, if you believe the state of Illinois should make information available so Illinoisan can make better decisions about their own healthcare, please sign Rep. Demmer's petition using greater transparency. 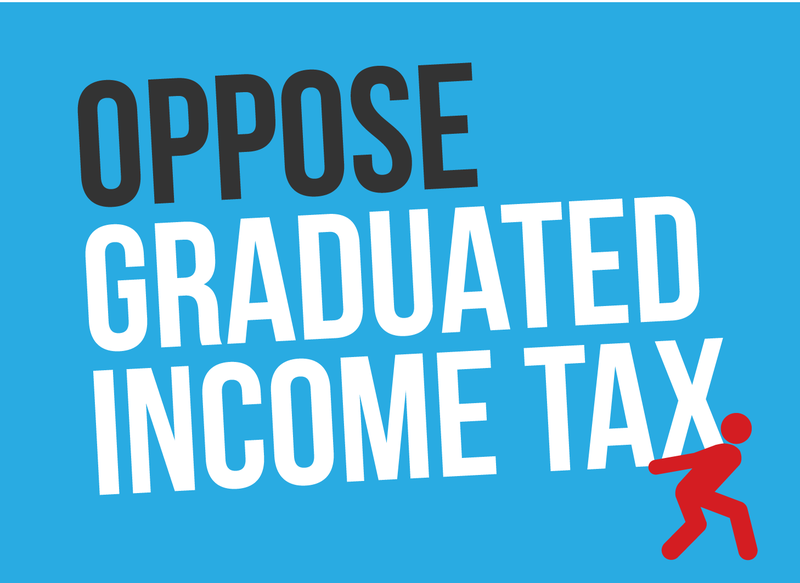 It’s clear that Illinois is heading in the wrong economic direction. We have a 9.2 percent unemployment rate (second highest in the country), $6 billion of unpaid bills that will continue to grow, $100 billion of unfunded pension liabilities, the worst credit ratings in the nation, and a pension crisis. The only way to start turning Illinois around is to adopt meaningful public employee pension reform soon. 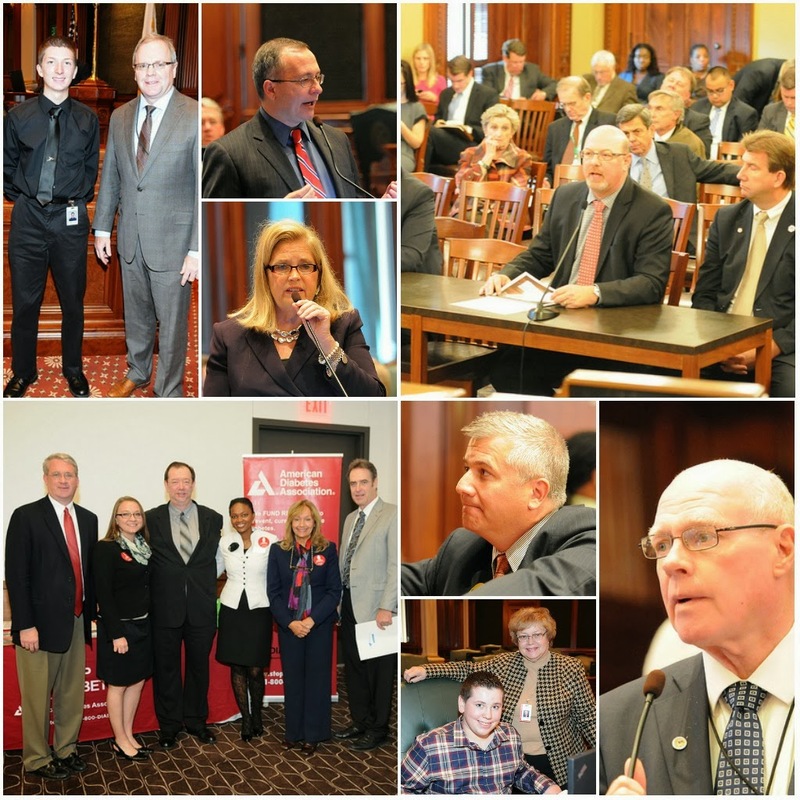 We owe to it our hard-working teachers and state workers to save the pension systems. It’s a crisis because if we don’t act soon, Illinois will continue to be plagued with high unemployment and economic uncertainty. 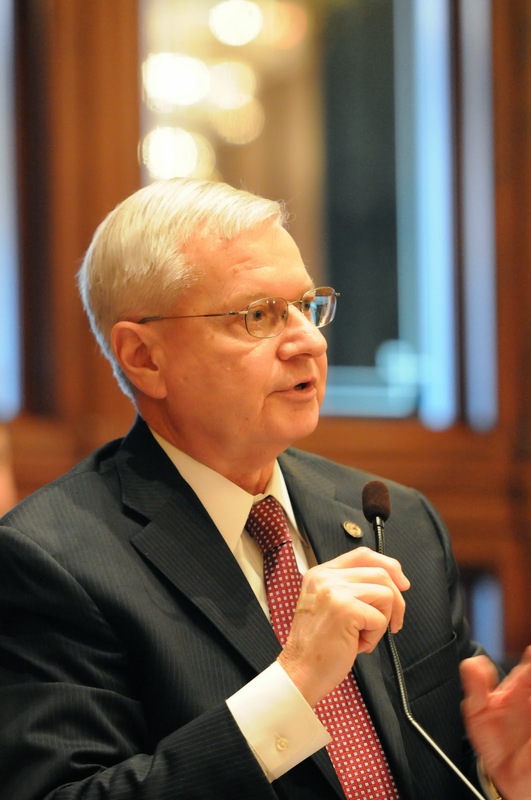 Small businesses will not want to expand and companies will not want to locate in Illinois because they will be concerned about the prospect of higher tax rates to fund future pension obligations. More here. 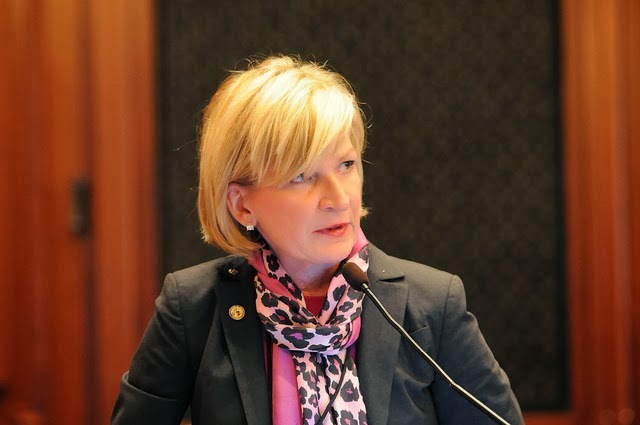 State Rep. Darlene Senger, R-Naperville, has joined the call to delay enactment of a key provision in the federal Affordable Care Act. The “individual mandate” that requires most Americans to obtain health insurance or be subject to a tax penalty survived a constitutional challenge in 2012 when the Supreme Court cleared the way for its implementation. Still, it continues to be challenged by conservative lawmakers, some of whom say time is running out for consumers to meet the requirements for the scheduled full rollout of the act seven weeks from now. 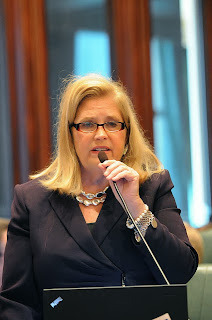 Senger introduced House Resolution 680 in Springfield on Tuesday, and Rep. Ron Sandack, R-Downers Grove, and three other GOP House members joined her as chief cosponsors the following day. Another 39 of their remaining 42 Republican peers also signed on as cosponsors Wednesday. Read the rest of the story by Susan Frick Carlman in the Naperville Sun. 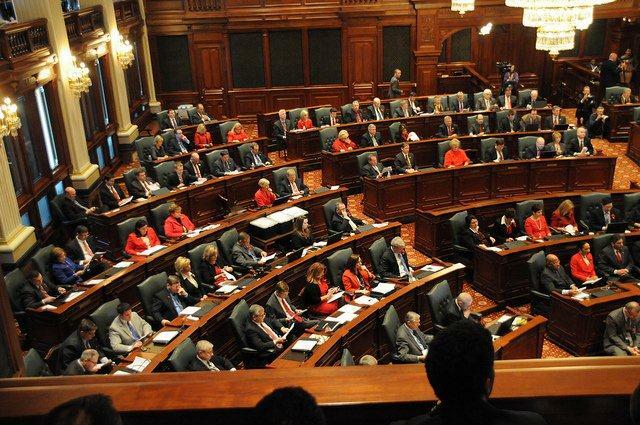 House Republicans demand answers after thousands of Illinois residents report losing health insurance. The implementation day of the federal Affordable Care Act, October 1, 2013, imposed complex and costly new mandates upon private health insurance policies sold, or provided by employers, to Americans citizens and residents. A large segment of previously profitable health insurance policies have become unprofitable. Gov. Quinn’s “supplemental” budget request includes significant overtime payments to unionized State employees. 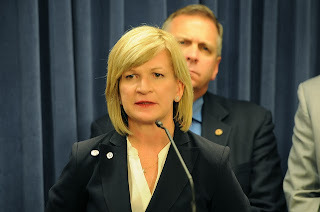 State auditors have reported that the Department of Corrections (IDOC) notched $62 million in overtime expenses in fiscal year 2013 (ended June 30, 2013). The overtime payments, which are required by the terms of the union contracts signed by the Quinn administration and the AFSCME union that represents prison guards, help compensate these workers for the dangerous work of maintaining control of overcrowded prisons.